I often go through an emotional roller coaster when I’m on a knitting journey. There’s a certain aspect of the process that I absolutely love and there are others that I just utterly dread. Here’s the journey from my latest Cables in Chamonix from The Yarn Girls’ Guide to Beyond the Basics — my first finished project of 2013! 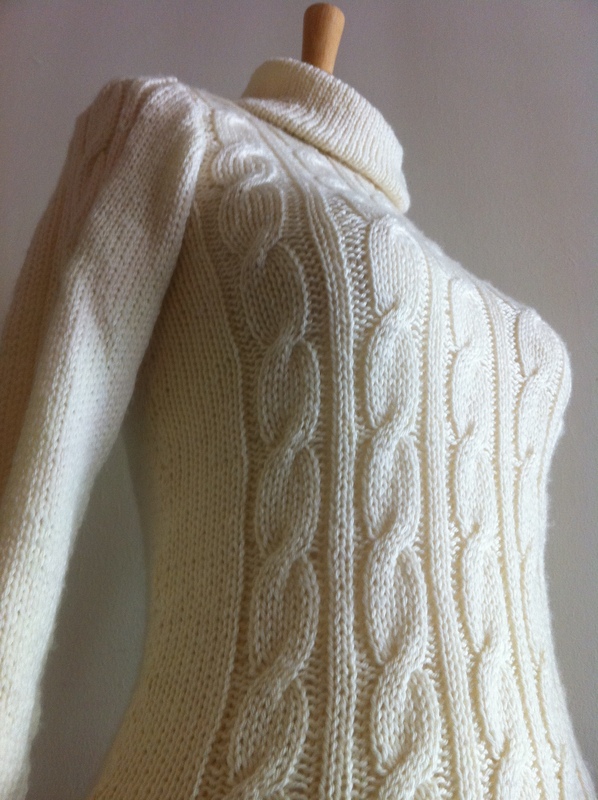 Selecting what to knit is a really fun part of the knitting process for me. I can get quite indecisive and it could be days or weeks until I finally decide on the pattern, but I enjoy flipping through books and browsing the Internet for inspiration. My three rules when selecting a pattern are: it’s simple; it’s wearable; and it’s not too time-consuming. I will probably venture out to something more adventurous and challenging, but for now, a simple, relaxing pattern would do. Shopping for yarns is okay but definitely not my favorite part. I’m not a shopper by nature, really, with exception of an occasional “I must buy everything immediately” attack that arises typically during my menstrual cycle (sorry, TMI there). When I’m shopping brick and mortar, I like to get in and get out. I rarely browse (that’s probably why online shopping suites me so well), which is probably difficult to believe, having been raised in the Valley where the favorite pastime is hanging out at malls. 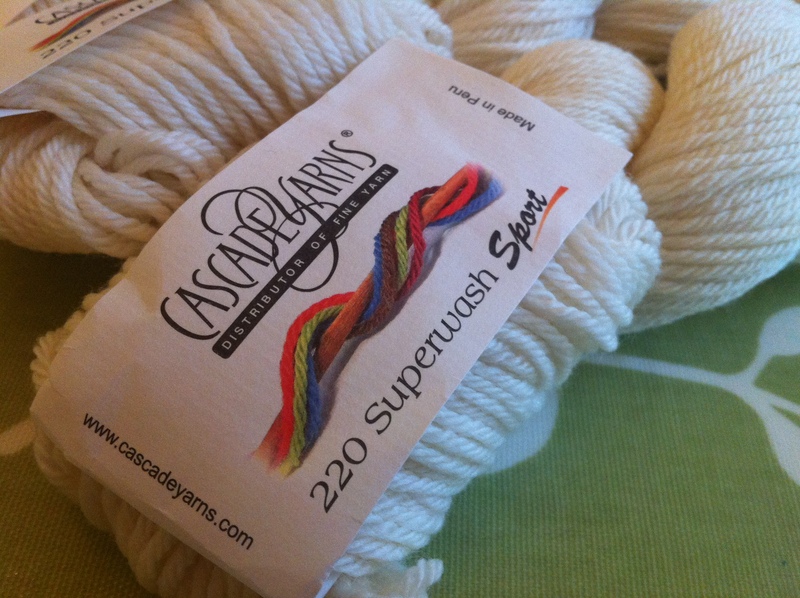 For this sweater, I used Cascade 200 Superwash Sport in white. The actual knitting is my favorite part. Since I usually select simple patterns, I seldom stress and have to pull my hair out. I really enjoy knitting on a couch, with my husband sitting next to me (who needs a cat when you have a hubby to roll and untangle the yarn as you knit), while listening to lovely music or watching cheesy Japanese dramas. Then comes the nightmare — blocking! I don’t know why I dread this step but I do. I don’t enjoy pinning each knitted piece onto a board and letting it sit for several days until it takes a proper shape. It takes up all the room on our dining table and it smells like a herd of wet sheep stampeded across the apartment! 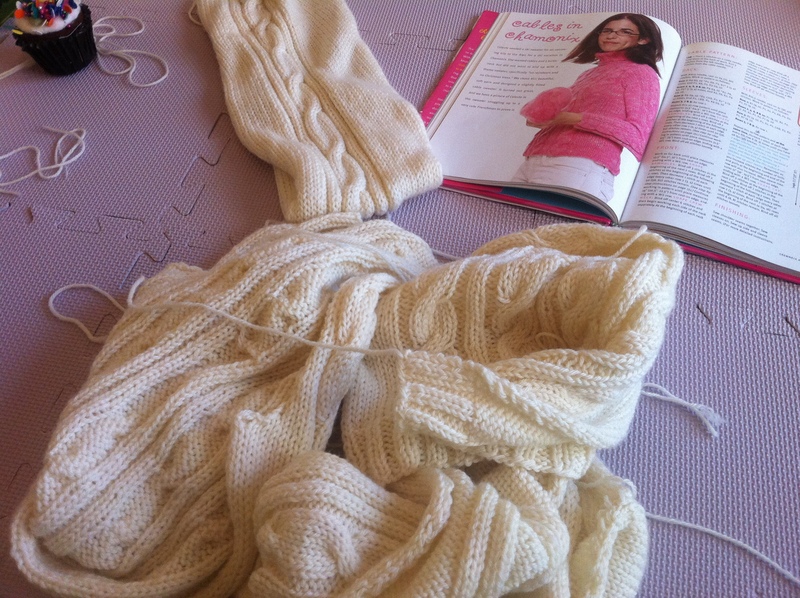 Seaming is the least favorite part of the entire process. I. just. don’t. like. it. This is usually where the process stalls for days – and some even years! I have to really be in the mood to tackle this part, but once I do, I’m going full throttle. I take this process very seriously and rip out and redo the seams more often than I’d like to admit, but I know that this is what makes or breaks the end result of the garment. Maybe I don’t like the pressure of it all. Then, I forget about all the bad times when I finish the project and get to photograph it … and I do it all over again! 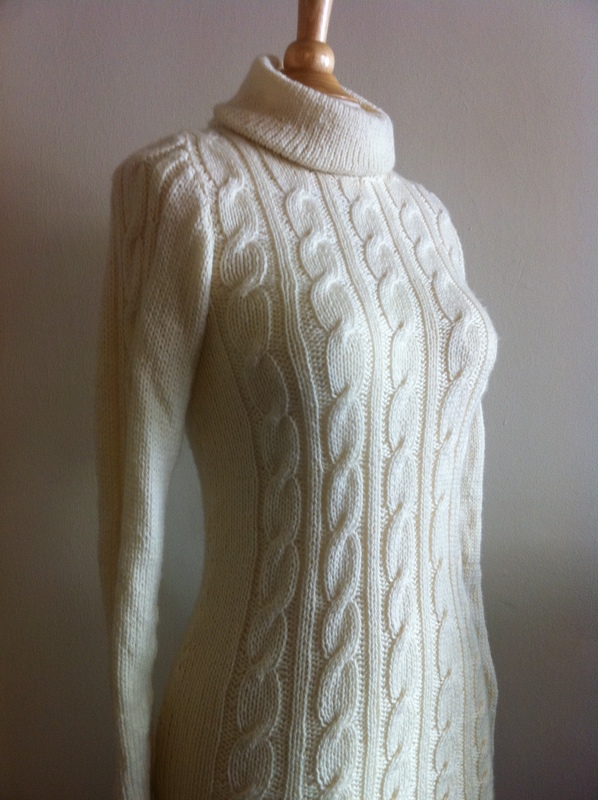 This was a really fun sweater to knit! I really like the patterns from this book. The finished projects look complicated, but you don’t have to pull your hair out! It’s great for beginner / intermediate knitters like me. I even recommend it for a first-time cable knitter! I made slight modifications. 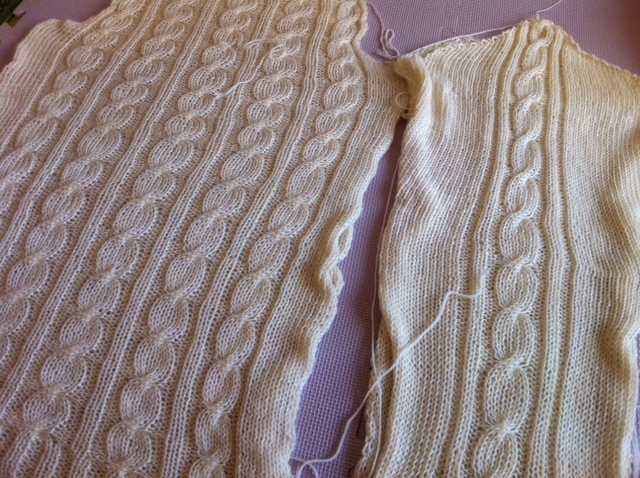 First, I added about 10 rows of ribbing at the bottom of the bodies, as well as sleeves. 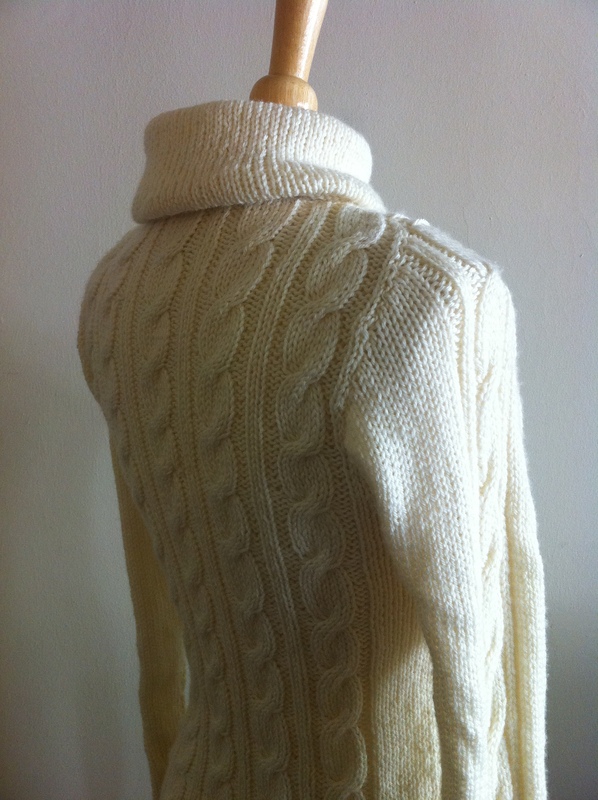 I’m really glad I did that because the ribbing make the sweater look a little more balanced. 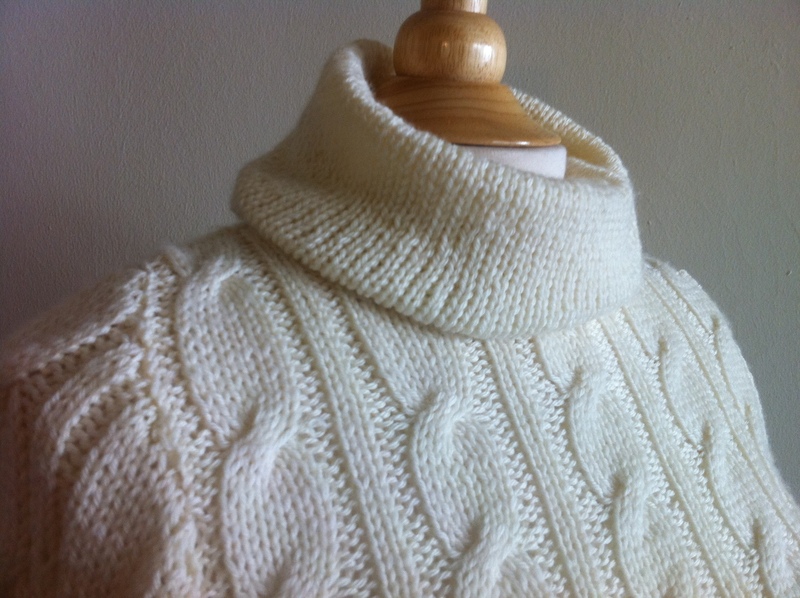 Second, I used the stockinette stitch for the turtleneck, instead of the K2 P2 ribbing, as instructed in the book, so that the neck will feel light (I don’t really like things around my neck). 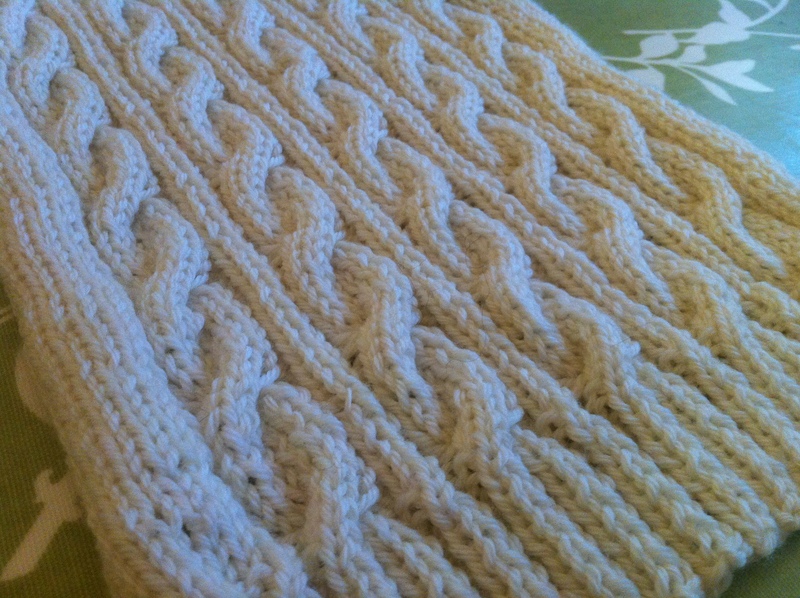 I think I’ll knit this again with different yarn. I loved knitting with Cascade 220 Superwash Sport but it was a little too thin for a sweater (you can totally see everything underneath, unless you’re wearing a white tank top). My belly is a bit too large fit into this sweater at the moment but I am looking forward to sporting it in the spring with Pon Pon in my arms. 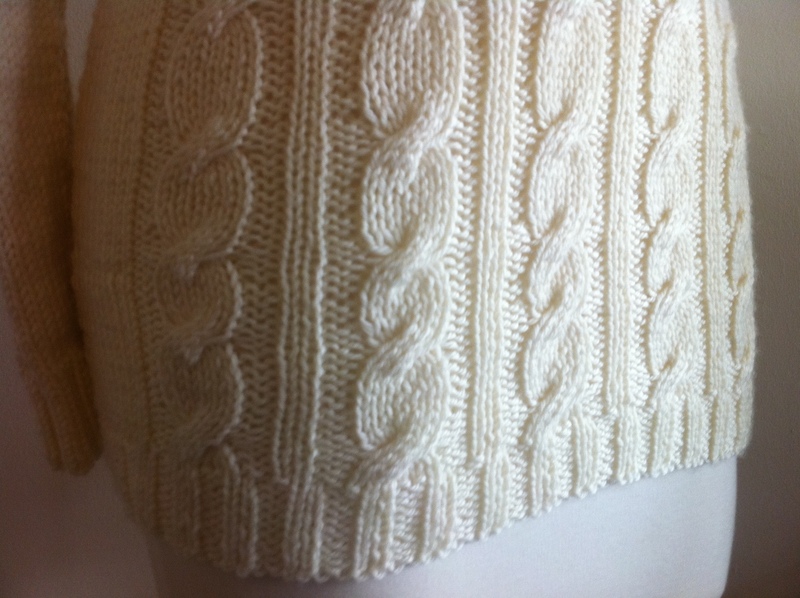 Maybe a matching mom-and-daughter cable sweater may be in order!